New scaled-down plans to transform a former Aberdeen private school into a hotel have been revealed. Last July, planning permission was given to Status Properties for the development of the Hamilton School site on Queens Road to be turned into a new large-scale hotel development – despite numerous objections from locals who feared an increase in congestion and air pollution. 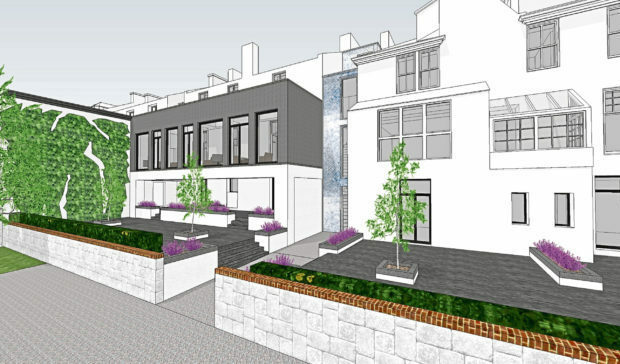 There were also significant concerns raised about the scale of a planned 90-bedroom extension. Matters took a first twist in November, however, when the school buildings were bought by the owners of the next-door Chester Hotel, Graham and Gillian Wood. Now a new planning application has been submitted for the site, they say will be more “in keeping” with the category B listed buildings. The new plans would result in demolition of an existing large extension, which formerly housed the nursery of the Hamilton School. The hotel’s bar would double in size and 22 new bedrooms will be created, in addition to the Chester hotel’s existing 50 bedrooms and suites. Chester hotel general manager Stephen Gow said: “We’re seeking to replace what we considered to be a disproportionately sized extension for the footprint of the site with a minimal extension to the original building. “We will be reducing the developed area of the site considerably from the previous owners’ plans, which were granted planning permission. “The planning permission which was in place when we purchased the site was for a 90-bedroom hotel. “Those plans included maximising the building size on the plot. Our plans are restrained and considerate to the local environment. We propose having landscaping which will provide a lot of greenery on the site and we will also be installing electric charging points for some spaces in the car park. In recent years the Aberdeen hotel market has suffered a downturn linked to the drop in oil and gas. Hotel occupancy rates in the Granite City are the worst in the UK with more than one-third of rooms in the Granite City empty last year. The Hamilton School closed in February 2014 after the Scottish Government and Care Inspectorate moved to shut it down amid safety concerns.